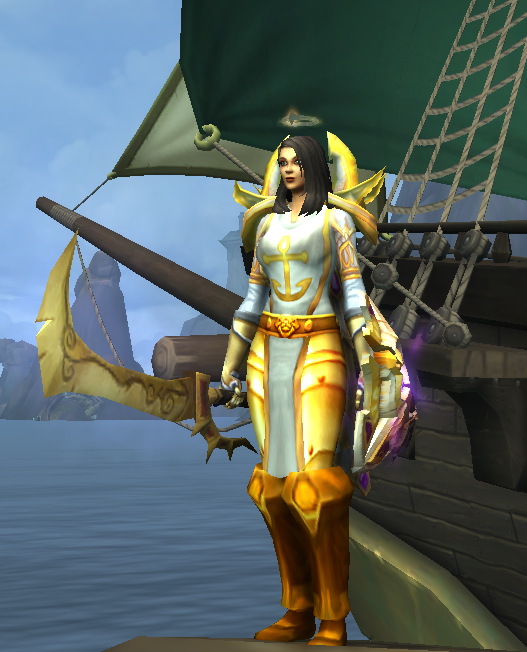 I actually made this transmog set for my protection paladin a while ago, but since it’s appropriately nautical, I’ve decided to make this her look for Battle for Azeroth‘s seaborne adventures. Here’s the set: Sea Queen’s Glory. That looks great 🙂 I’m positive I took part in the game during that event the Tabard is from, yet I do not have it, nor does Zidormi sell it to me. Hmmm. That’s odd. I hope there’s some way you can recover it.